Providing the Syracuse area with professional, fast and eco-friendly junk removal services. 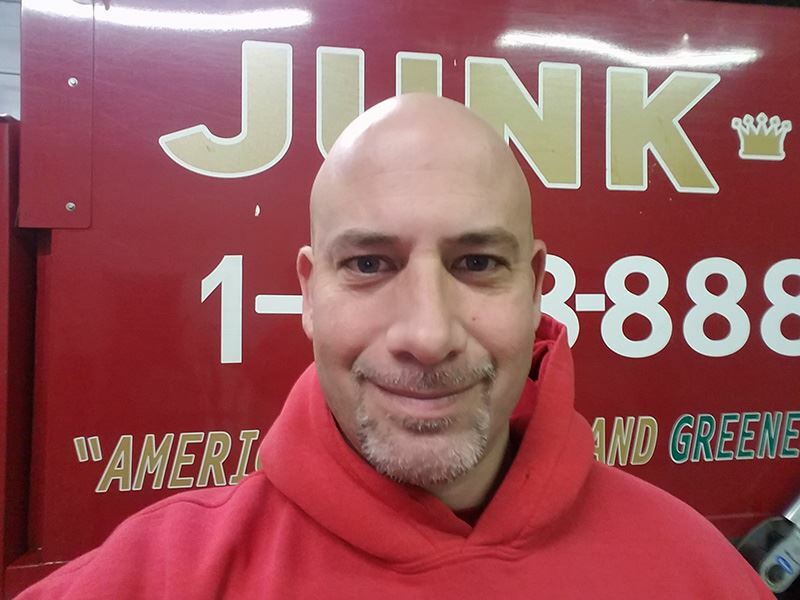 Henry Vercillo is the Junk King franchise owner of Junk King Syracuse which services the central New York area. Henry had a vision of what he wanted his future to be. He stated, “I want to be knowledgeable at what I do so I can be the best at what I do.” This perspective brought him to Junk King. Henry operates his Syracuse junk removal company to protect the environment while simultaneously helping the community. Junk King Syracuse recycles and donates at least 60% of the junk they haul. They deliver same day service. All a client needs to do to book an appointment is either call or book online. With the great training that Junk King Franchise Systems provided, Henry was in the junk business. Interacting with people is easy for Henry. He is comfortable with his Syracuse clients. He enjoys helping them get rid of clutter and debris. These jobs can be removing junk from garages, attics, basements, estates, yards, storage units, or sheds. Items we take includes things like: trash removal, mattress disposal, refrigerator disposal & recycling, construction waste removal and garbage removal. He can help businesses remove construction debris, clean properties of last minute junk in preparation for marketing the property, or clear items damaged by broken water pipes. Whatever the job is, Henry will be reliable, economical and fast. Schedule Henry and his Syracuse junk removal team by calling 1-888-888-5865(JUNK) or book online. April 22, 2019 by J.M.A. Quick, friendly and offered an up front estimate for cost of services. April 16, 2019 by S.W. Very prompt and courteous service! A+. April 15, 2019 by L.R. Great customer service. They came right in time and we're very friendly. The job was done in very little time and a very affordable fee. April 09, 2019 by D.L. They arrived on time and removed all the debris.